Rock-solid decision-making through strong coverage and effective practice. Managerial Accounting presents readers with the rock-solid fundamentals they need to know, followed by extensive opportunities for practice. Students interact with businesses every day-where they work, where they shop, even where they blog. At the core of these businesses are rock-solid managerial accounting fundamentals that students don't always see. 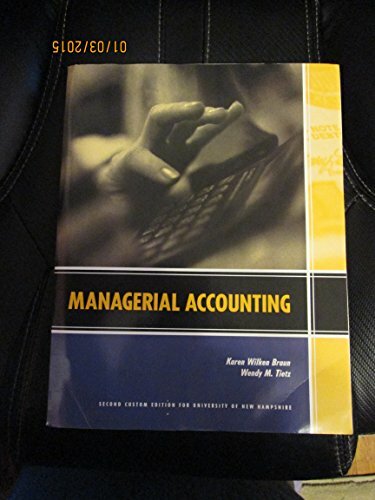 Authors Wendy Tietz and Karen Braun show the connection between accounting concepts and the businesses students interact with in their text, Managerial Accounting.